Linda Walker at her home in Morganton, NC. Walker, who was struck by lightning as a child while at camp, has reconnected with the friend who saved her. 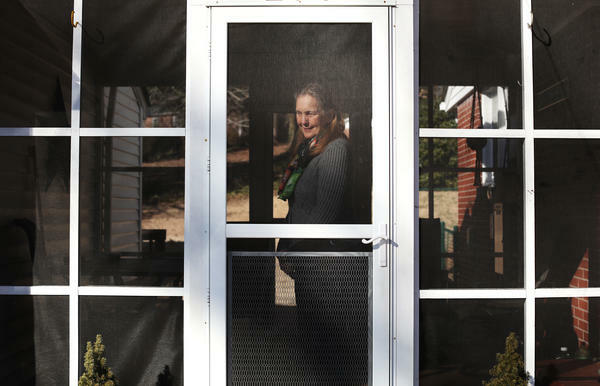 Linda Walker at her home in Morganton, N.C. Walker, who was struck by lightning as a child while at camp, has reconnected with the friend who saved her. Laurie "McCoy" Luna's sister sent her the information from her Facebook page on the lightning accident at camp that year at Pisgah. A picture of Linda Walker (center) with her family in 1968. 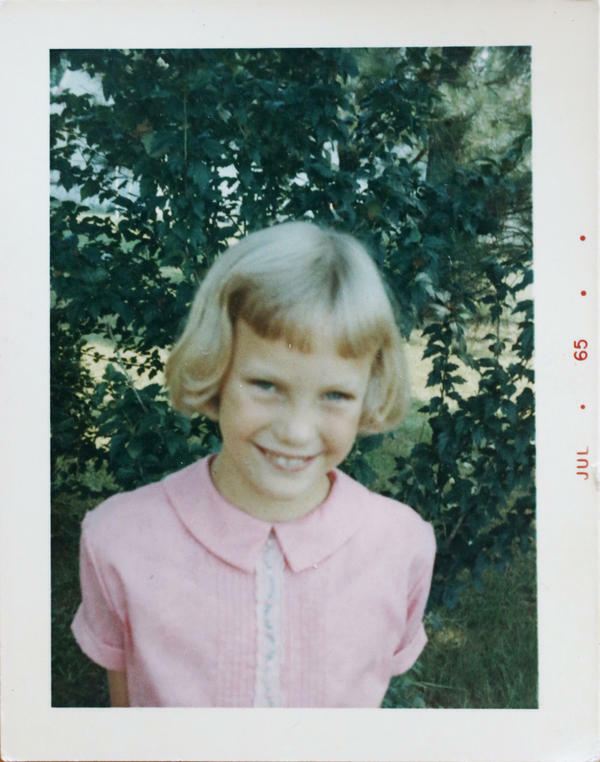 A picture of Linda Walker from 1965. In the summer of 1967, Linda Walker was at Girl Scout camp in North Carolina when a lightning bolt struck her. She says she was in a tent with three other girls when they all ran out after the crackle and boom. Walker was on the floor, unresponsive. "But as Girl Scouts you always keep up with your buddy — you never lose track of your buddy," Walker says. "And my buddy walked out, ran out of the tent without me, but realized I wasn't with her and came back. Had she not done that, I wouldn't be here today ... because she saved my life." After Walker's buddy returned and couldn't wake her up, she rushed to find a counselor, who administered artificial respiration — at that point Walker says she was "clinically dead" — and she was rushed to the hospital. "My life as a mother, a teacher, a grandmother — all are attributed to her coming back and getting me," Walker says. But Walker didn't remember who her buddy was. Walker and her family had recently moved to Murphy, N.C., and it was her first time attending Camp Pisgah. She didn't know anyone at camp except her next door neighbor. 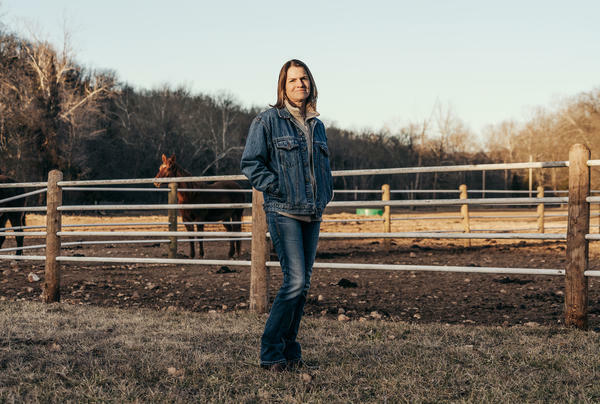 "Unfortunately, being 12 years old and then getting struck by lightning — I didn't get her name and I didn't recall it, and I've always regretted that," she says. So when Walker wrote in with her story for our Missed Connections series, we wanted to help. We reached out to Camp Pisgah, where a long-time volunteer helped to check records. We enlisted local librarians to search through old news coverage. We even searched for women who'd been at camp that summer in 1967. But social media turned out to be the key. Walker's buddy's sister saw the story on Facebook, where one of the local Girl Scouts councils had posted it. "Hi, Linda. Are you as nervous as I am?" Laurie Luna asked. "I am, but I want to send a huge, huge thank you to you and a hug, because I wouldn't be here today if I hadn't had a buddy who came back," Walker responded. Luna says she has thought about their frightening encounter a lot over the years — largely because she never knew if Walker survived. In the moment, all Luna thought about was getting Walker help. She didn't even put shoes on to run and find their counselors. Later, they took Luna to visit Walker while she was still in the hospital. "And it was disturbing and scary," Luna says. "So, yeah that was the last time I saw her." Today, Walker has a scar where a metal zipper welded to her hip and she has some trouble hearing. Her medical report at the time said her heart sac had been burned. But she had no idea that Luna didn't know she was otherwise OK. 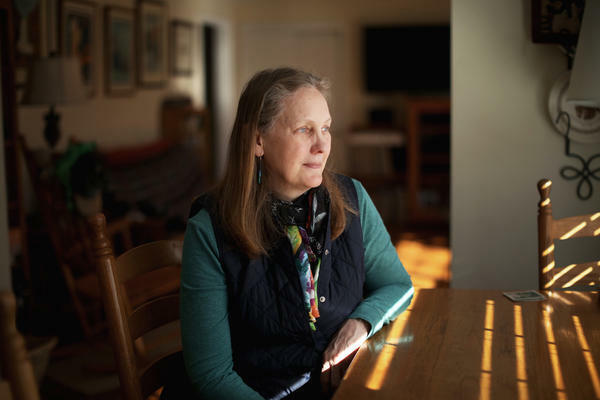 The two have shared their story with people throughout their lives — Luna has talked about it with her husband, and Walker would recount it to her class of 8th graders every year; but neither one had quite all the pieces to the puzzle. "Each time I would tell my story and the kids always said, 'Well, did you ever thank her?' And I said, 'no' and they said, 'You should, you should,' and now in retirement I have a moment, and we've located you, and that was just like — wow," Walker says. "It's been magical." At the end of their conversation, Walker suggested they keep in touch. "Since 50 years have to be made up," she says, laughing. If you want help with your missed connection, email us a voice memo with your story at weekend@npr.org. There are times when we can connect surprisingly deeply with a stranger and then never see them again - a missed connection. We've been trying to help some of you connect with people you're trying to find. And today, we bring you the story of two women whose paths crossed 50 years ago in an electric moment at a camp in North Carolina. Linda Walker reached out to us to tell us her story. LINDA WALKER: Well, I was at a Girl Scout camp. And a storm, as is often happens in the mountains, came through. And they sent us to our cabins to write our letters to our parents. When I was in my cabin, the rain started to come in. And just as I stood on my iron cot to let the tent flaps down, a bolt of lightning struck. It didn't waste any time in pretty much frying me. I was on the floor. Well, obviously, with a large boom and crackle, the other girls took off running. But as Girl Scouts, you always keep up with your buddy. You never lose track of your buddy. And my buddy ran out of the tent without me but realized I wasn't with her and came back. Had she not done that, I wouldn't be here today. She ran and got a counselor. They gave me artificial respiration because, at that point, I was clinically dead. They rushed me off to the hospital. And my life as a mother, a teacher, a grandmother all are attributed to her coming back and getting me. GARCIA-NAVARRO: But Linda didn't remember who it was that saved her life. WALKER: Unfortunately, being, you know, 12 years old and then getting struck by lightning - I didn't get her name. And I didn't recall it. And I've always regretted that. GARCIA-NAVARRO: So when Linda wrote in with her story about a month ago, we wanted to help. Our intrepid producer Sophia Schmidt reached out to Camp Pisgah where a longtime volunteer helped to check the records. We then enlisted local librarians to search through old news coverage. We even looked for women who had been at the camp that summer in 1967. But social media, as it often does, turned out to be the key. Linda's buddy's sister saw the story on Facebook, where one of the local Girl Scout councils had posted it. It was meant to be. So, Linda, we found the person you were looking for. And they've been listening to you tell your story. So here she is - Laurie Luna. WALKER: Hi. Oh, my goodness. LUNA: Are you as nervous as I am? WALKER: I am. But I want to send a huge, huge thank you to you and a hug because I wouldn't be here today if I hadn't had a buddy who came back. GARCIA-NAVARRO: ...I'm going to ask you to pick up the story from your perspective. Linda passes out. And then what happened? LUNA: Well, I did run out of the tent with the other two gals. But we thought that you were right behind us - and then turned around, obviously, and you weren't. GARCIA-NAVARRO: Did you try to wake her up? Or did you know that it was serious? WALKER: Well, I still have a scar from where the metal zipper welded to my hip. And the medical reports showed that my heart sac had been burned. And there was some damage to my ears. And I still have a little bit of a hearing problem. GARCIA-NAVARRO: Laurie, you actually visited Linda in the hospital, right? But she wasn't fully awake to know that. LUNA: Counselors took me up there twice. And it was disturbing and scary. So yeah. That was the last time I saw her. GARCIA-NAVARRO: Did you know that she'd survived? - that she was OK? LUNA: No - not until my sister got in contact with me. WALKER: Oh, my - because I know when my mom and dad got there, they were told, you know, it was very touch and go. And I didn't realize that they hadn't let you know. LUNA: Well, they may not have known how to keep in touch with me after that. WALKER: I taught 8th grade for 30 years. And each time I would tell my story. And the kids always said, well, did you ever thank her? And I said, no. And they said, you should. You should. And now in retirement, we've located you. And that was just like, wow. It's been magical. GARCIA-NAVARRO: Linda, just - I want to - before we end this, is there anything you guys want to tell each other? WALKER: Well, I would like to get in touch with you and be able to maintain a correspondence since 50 years have to be made up (laughter). WALKER: Yes. Can we do that now, or should we wait? GARCIA-NAVARRO: That's Linda Walker and Laurie Luna brought together again. Thank you both so very much for this story. JAKE BUGG: (Singing) Morning - it's another pure, gray morning. Don't know what the day is holding when I get uptight. And I walk right into the path of the lightning bolt. GARCIA-NAVARRO: And if you have a missed connection that you want us to help you find, somebody you want to thank or catch up with or reconnect with, write in or send us a voice memo - weekend@npr.org. (SOUNDBITE OF JAKE BUGG SONG, "LIGHTNING BOLT") Transcript provided by NPR, Copyright NPR.